Today, when we use social media ad our products and services, ads on social media are an important part of social media marketing because they can ensure that likes and follows on your social media channels come from people who are genuinely interested in your product or service. Therefore, in this part of our series, we will talk about Facebook Ads and their efficiency. How to create Facebook Ad campaign? Without Facebook Ads, you will fail to reach-out to millions of your potential customers on Facebook. You have to acknowledge the significance of Facebook Ads; they convey your message to the customers based on parameters like age-group, location, and many other aspects related to demographics. All these aspects are customizable. Before you make an advertisement, you need to know your audiences. This applies not only to normal advertising, but also for Facebook advertising. You have to dig deep and conduct a thorough research about them. Some factors related to your audiences are needed to be understood in order to ensure the success of ad campaign that you are running. Such factors include geography, gender, interests, marital status, language they speak, reason to join Facebook, educational level, their hobbies etc. The more information you have, more you can localize your ad and attract customers from it. Your Facebook ad should reflect what you want your audience to see. So before making the ad, you should plan whether you want your ad to generate more Likes on Facebook, more sales, your news-letter sign-up or anything else. Make your ad after deciding the purpose that the ad is supposed to serve. Your audiences are very much attracted by the graphics or the image you choose in your ads. If you have an image or a photo of high quality with the person’s face, then it is going to grab eyeballs of people landing on your Facebook page. Therefore, choose a high quality image that suits your ad campaign. If someone clicks on the ad, then the landing page should be your Facebook page. You can also edit the Title of your ad using the Facebook page. It is the best way to reach out your exact customer as people lack patience. This is a great option if you want to pay for cost per impression rather for clicks. If you are on a tight budget, and cannot pay for clicks, then you could go for cost per impression. An online visitor sees hundreds of ads daily on different websites. You need to give him a good reason to click your ad. You can do this by offering a free coupon or free membership if you want them to click your ads. Your ads must be unique and the best way to do is through offering something for free. The way you know your audience, it is helpful to know which of the day converts better. You might be surprised to know at a certain time in a day gives more conversion compared to rest of the time period. So you have to keep an eye once your ads start running and note the time when the conversion rates are higher. Facebook ads do not have any blueprint. So you do not know how a campaign is going to work, especially when it comes to setting your daily budget. From creating ads to budgets you need to keep experimenting to see what really works. You should maintain an Excel file for the days you created ads and track your conversion rates. This is how you can see the success with Facebook ads. A Facebook ad budgets depend on how long do you want to run ads. Running ads for four days is more expensive than running ads for two days. 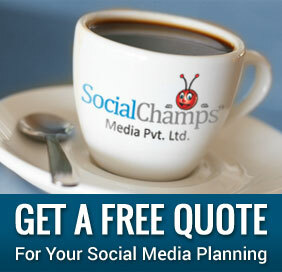 Therefore, plan properly, how long you want your ads to run on Facebook. Hence, these eleven points help you to achieve success from Facebook ads. Share your views about these points. In the upcoming parts of this series, we will talk about LinkedIn Ads and how to track the progress of social media ad s.